The PCC Chemax R&D facility is divided into different areas dedicated to Product Analysis, Product Research and Development, and Quality Control. In addition to product analysis, our Analytical Labs document reaction conditions and provide scale-up batch quantities to substantiate performance attributes prior to full-scale production. 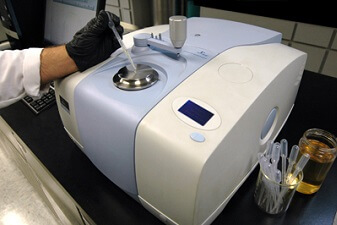 Precision instrumentation includes a Fourier Transmission Infrared Spectrometer (FTIR), Gas Chromatographs (GC) and High Performance Liquid Chromatography (HPLC), which allow for accurate and expeditious data generation. 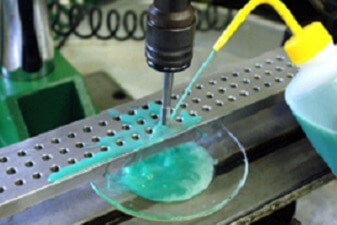 Our Product Development Labs include equipment for testing lubrication properties and performance, wetting speeds, emulsifier stability, foam tests, surface resistivity, static decay, polymer film production, extractions, and many others. Our labs are staffed with experienced professionals who are always looking for new challenges. The Quality Control Labs can provide molecular weights and moisture content by Karl Fisher, in addition to traditional surfactant testing which includes acid, alkali, and amine values. 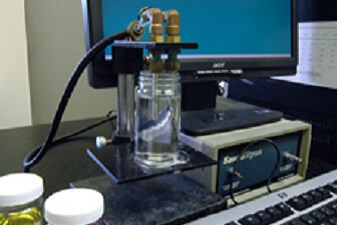 The laboratories utilize programmable automated titrators for acid-base measurements. Material color is measured by both Gardner and APHA methods. 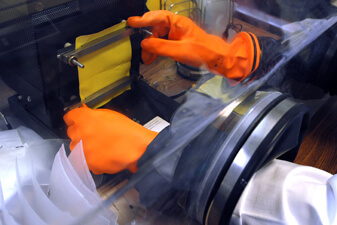 Some additional instrumentation includes a refractometer, microscope, centrifuge and RETSCH Sieve for particle analysis. Please click the links on the right to learn more information about each of our labs, and feel free to contact us with any questions.